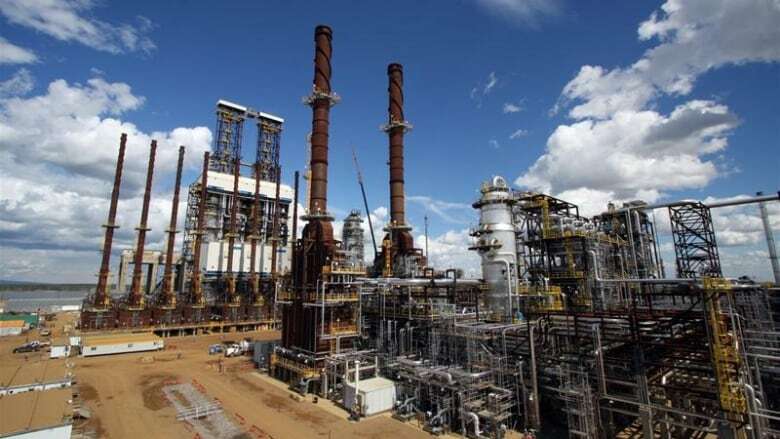 The Calgary-based oilsands producer announced Wednesday a 2019 base budget of $3.7 billion, below its "normalized" range of $4.7 billion to $5 billion and about 20 per cent less than this year's $4.6 billion. "Our capital program is very flexible and we can curtail capital spending down to the $3.1 billion range and still keep production flat," said president Tim McKay during a webcast from the company's investor day in Toronto following the announcement. "Should prices improve and stabilize, and we see clarity on market access, we would look to increase our capital to approximately $4.4 billion." Analysts praised the budget for its restraint in the current oil price environment and Canadian Natural shares closed up 4.2 per cent to $37.33 in Wednesday trading on the Toronto Stock Exchange. The 2019 budget contains $600 million for long-term growth projects, including the completion of the 40,000-barrel-per-day steam-driven Kirby North oilsands project (expected to deliver first oil in late 2019) and building additional multi-well pads at Canadian Natural's Primrose thermal heavy oil project in northern Alberta. Production in 2019 is targeted to be between 1.03 million and 1.12 million barrels of oil equivalent per day, down slightly from this year's expected output, with a product mix of about 76 per cent oil and natural gas liquids and 24 per cent dry natural gas. A production curtailment program announced by the Alberta government last weekend designed to remove 325,000 barrels per day of oil from the province's over-taxed pipelines has already resulted in stronger forward crude prices in January, Canadian Natural said. It plans to monitor those prices and the progress of the stalled Keystone XL and Trans Mountain expansion export pipelines to determine if spending should be increased. Technology and options to increase future oil production took centre stage at the investor day, with Scott Stauth, chief operating officer for oilsands, fleshing out Canadian Natural's plan revealed last spring to test driverless oilsands mining trucks. The autonomous haulers are already in place at rival Suncor Energy Inc.'s mines and Imperial Oil Ltd. said recently it plans to experiment with up to seven of the trucks at its Kearl mine. "Assuming we are satisfied with the results of the three-truck trial at Jackpine, we would convert all trucks at Jackpine to autonomous by 2022, followed by Muskeg River Mine and Horizon in 2025," said Stauth. "With an incremental capital cost of $275 million to $325 million, we target our operating costs to be reduced by 30 to 50 cents per barrel once complete." The technology could reduce mining costs by $2 to $3 per barrel, cut greenhouse gas emissions "significantly" through less trucking, and reduce the need for tailings ponds, he said. Stauth said new phases at the company's Horizon oilsands mining and upgrading facility and the proposed Pierre River oilsands project could add 510,000 bpd of synthetic oil production but would only be considered if market access issues are solved.